My book group friends aren’t really into poetry. At all. But someone suggested we read Matthew Hollis’s biography of the last years of Edward Thomas, ‘Now all roads lead to France.’ So I’ve brought the book on holiday with me to Wales and am engrossing myself in the detail of the life of a poet I previously knew very little about. I’m enjoying so much about this book which examines very closely Thomas’s progression from being a professional working writer (of everything from literary reviews to what would nowadays be called creative non-fiction) to poet. He didn’t start writing poetry at all until the last couple of years of his life, and only then after being encouraged by Robert Frost. His early efforts weren’t exactly received well, and he struggled to get anything accepted for publication. Hollis explains this in terms of Thomas being ahead of his time, writing in a style that was so different, critics didn’t understand his genius, and being too honest and ‘unpolitical’ for his own good. 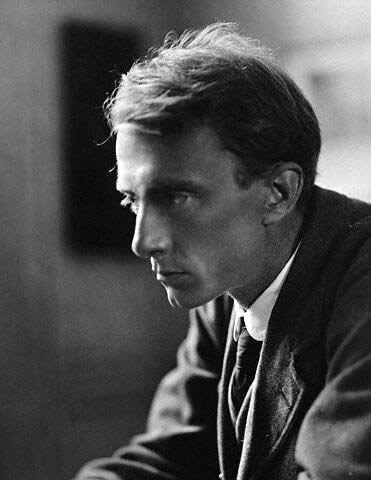 I wanted to like Edward Thomas, but I can’t say I warm to him – his perpetual neglect of his wife and family, the utter self-absorption, the self-loathing brought on by having to churn out commercial writing in which he had no interest, the desperate need for critics to like his poems… and the lack of humour. When Frost sent him a copy of ‘The Road Not Taken‘, Thomas saw it as a slight and for some time carried on a petulant correspondance with Frost on the subject. Not the reaction of someone with a talent for empathy and communication, which I tend to associate (perhaps mistakenly) with poets. Interesting also in how other poets of the time are treated in this account – big names such as Ezra Pound, Walter de la Mare and even Rupert Brooke don’t get presented in a great light. Thomas apparently disliked Brooke’s showmanship, and considered the five sonnets for which he is best remembered as immature and possibly even insincere. I haven’t yet finshed the book but will be interested to hear what my non-poet friends thought of it. It spends a lot of time talking about both poetry writing techniques and also the business of poetry at that time – the styles, trends, publications and publishers. Fascinating to a poet, but I wonder if other readers may find it heavy going. There’s plenty of good anecdote and character detail, however. To an outsider, Edward Thomas’s world looks like a bitchy, cliquey, political, incestuous, closed community for which families and the outside world were an irritation on the periphery of the real business of writing, and the war was an inconvenience, or at best an opportunity to prove or discover something about themselves or their writing. Having said that, I am enjoying the book and it is making me want to learn more about that period in English (and American) poetry, to understand better how we have arrived at where we are today.